Well, it’s been a while since posting a blog update again! But not without good reason. Heading towards the end of 2015 I had managed to get on top of injury problems in my left leg and only a matter of weeks after posting my last update in October 2015 I was struck down with an extremely bad chest infection that saw me sidelined from running for 7 weeks, having time off work and prescribed antibiotics as a precaution. The good side of that is my legs had a good rest. I had already made an application to the Grand Union Canal Race and was ill while waiting for the ballot result. I was fortunate (depending on your outlook!) to get drawn and will now be 1 of 150 people lining up to cover 145 miles on foot. The slight panic was until I recovered from the chest infection I wasn’t able to train. Just before Christmas it had faded enough that I went out for some easy efforts, the worst had gone but my breathing was still difficult. In the New Year I was starting to feel stronger and the running was going well. I started to attend parkruns most Saturday mornings, they are a free, timed 5k run that take place nationwide in the UK and I use them as my speed session for the week. Especially as heading towards another ultra most runs are quite long and I try and make my standard run 10 miles. As a build up for the GUCR I have entered some other races. The Cambridge Boundary Run takes place on the 6th March and is a mixed surface marathon in the City of Cambridge. some eagle eyed blog readers may have noticed that this is only 1 week before my Bath half marathon run on the 13th March. I am not planning on running the Boundary race at a fast pace, it is purely a training run, miles in the legs and time on my feet in preparation for the GUCR. The Bath half a week later is a fast course and it would be nice if I could push my current PB from 1h 32m 27s down to the 1h 30m mark. I’m not currently sure if I can do it as i’ve not been doing much speed training but the time of 1h 30m would make being placed nearer the front of future races far more likely. After the Bath half I may do the Oakley 20 race but have not yet signed up. This is a good last long run to have before some of the UK’s best spring marathons including London, Manchester and Brighton that I am running on 17th April. A good resource for UK marathons is Marathon Runners Diary especially useful if you’re after a 100 Marathon Club membership! My current marathon PB is at 3h 59m, my half marathon as stated above is 1h 32m and my 10k is 41m 11s. Using these times and a few different race calculators available on the web my marathon prediction time is coming out between 3h 12m and 3h 15m. I have no idea how I could bridge that gap, I will be aiming for a PB at Brighton but but I will be happy with an improvement of between 5 and 10 minutes let alone 40 minutes! Brighton may be my last race before the GUCR. The GUCR takes place on the late May Bank Holiday weekend 28th May so there is a possible gap to enter a 40 or 50 mile race just as a little warm up and kit test for the GUCR but it depends if there is a race available that coincides with my time off from work. If I don’t do a race I will have a long day out on my own. I also plan on having a couple of day trips to Wolverton on the edge of Milton Keynes and having some runs along the route. Apart from the fact Wolverton has a train station right on the river and I am able to get there and back quite easily, it will also be a section of the run that will be dark on race weekend. On the whole things are moving along nicely, the last club cross country of the season is taking place this Sunday 28th February and I continue to get along to club evenings when time off from work allows. I’ve not posted a blog about my running, training or any running events for almost 6 months now. After the Flitch Way Marathon I carried on with my training and then entered the London 12 hour Enduro in June. 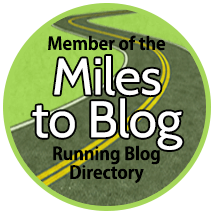 Part of the reason I blog about my running is self motivation and a way of holding myself accountable and disciplined with my running as well as, I hope, inspiring and motivating others. I began running 3 1/2 years ago after 3 friends passed away within 6 months, one being my best friend who I spent the first 26 years of my life doing everything with. Running helped me with my grief and focused my thoughts and energy..In June, In the darkness of night somewhere on Wimbledon common In the middle of the London 12 hour Enduro I was at last at peace with their passing and my own grief, some 3 years down the line. In an emotional moment I called my wife and told her I didn’t need to punish myself running ultras and I was ready to throw it in for the night and come home. I didn’t. After I hung up I forged on feeling a sense of peace I hadn’t felt for a long time. I felt good again, free and my waning energy began to return. By the end of the night I had completed 54 miles in 11 hours 36 minutes and finished in 8th. I didn’t feel the need to tell people about it or blog about it and share the experience. It seemed for me an almost too personal a moment of closure to put in to print. Since then I have changed to doing shorter and faster runs. I have started to attend Parkruns on a regular basis, I’ve changed up my diet a little again this time too a zero added sugar, the biscuits and cakes have gone! My bodyfat has dropped from 30% to 19% and there is just a portion of fat around my waist that is preventing me from having abs again! And since July I have had 3 new PB’s and begun to run sub 20 minute 5k’s for the first time since my teens. My 5k PB is now 19m 32s, 10k PB is 41m 11s and half marathon PB is at 1h 32m 27s. I put most of this down to the regular parkruns. 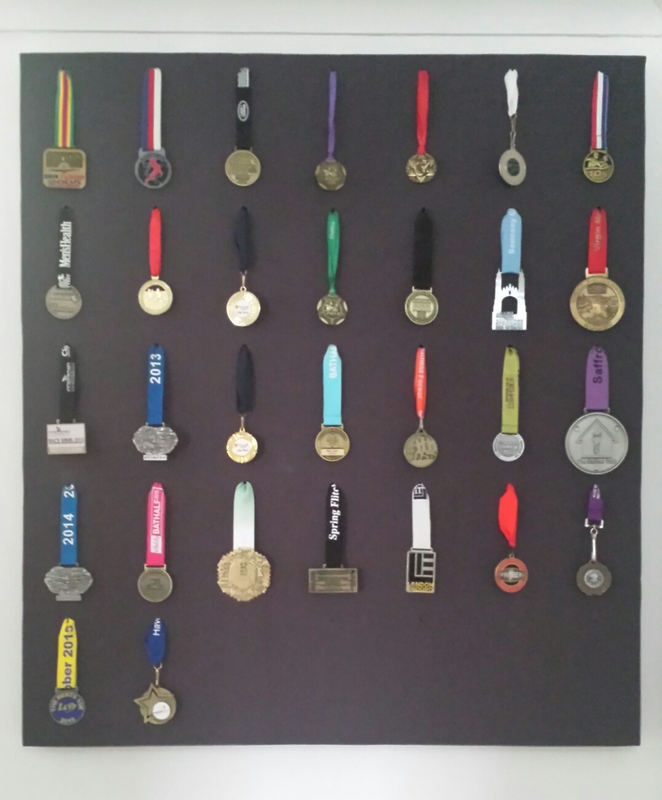 Longer term I am aiming at Brighton Marathon to complete the new set of PB’s. I have been doing plenty of runs and events I could have blogged about but haven’t, maybe it’s time to get back letting people know about my experiences again. The moral of the last 6 months has been that actions speak louder than words, I’ve been working on all aspects to improve. I’m ready again to add some occasional words for others enjoyment and motivation. Having received my new work roster for the rest of the year I have now been able to look through and pencil in possible races for the year. After finishing Paris I had no particular races in mind and ran Birchanger 10k a couple of weeks back. Knowing I had Sunday 17th May free I had a look at what races were available. There was Great Baddow 10 mile, Wimpole 10k, Richmond Marathon and the Flitch Way Marathon. I opted for the Flitch Way Marathon. The Flitch Way Marathon is one of Challenge Running’s many races, this is now the fourth of Lindley’s races I have taken part in. The Flitch Way is now a footpath that follows the route of an old railway line that used to run from the town of Bishops Stortford to Braintree but was removed in 1969 under the Beeching cuts. It is predominantly flat if a little soft under foot in places, to the extent that one section runs on a wooden walk way through the worst of the boggy patches. The Flitch way Marathon route starts in Great Notley Country Park, heads out along the Flitch Way towards Takeley for 13 miles and then back to finish at the top of a steep hill in the park as seen below. As I hadn’t trained I planned on taking the run easy and treating it as a training run. The weather was as perfect as it could have been for running and with the Flitch Way bordered by hedge row and trees it was very shady and cool to run along. I was dropped off at the start around 9am and saw Lindley the race director who pointed me up to the race HQ. After collecting my number and storing my bag I chatted to some of the other runners, some of whom I had met before, others I hadn’t. I had initially told my running friend Gin Craig I was going to run with her as I reckoned I was only going to run between 4 hours 30 minutes and 5 hours. After we set off that barely lasted 1/2 a mile, the pace was 9m 25s per mile and I felt comfortable enough to run a bit stronger than that. After winding our way out of the park and heading onto the track itself we crossed a road. A short distance on runners were greeted by a cafe set at one of the old stations, Rayne, complete with an old railway carriage. The route then continued along a firm packed track. Being a clear warm day the track was quite busy with family walkers and cyclists. The route headed toward the town of Great Dunmow. I had quickened my pace a touch too much and was at 8 minutes 15 seconds per mile and slowed a little to someone who was close by and holding a comfortable pace. It turned out to be Jaime Neill who is an online acquaintance from the Facebook page Run 1000. He was holding a very steady 8 minutes 30 seconds per mile so I decided to run and chat with him. What had started as a day off and taking part for the fun of it was now turning in to a run that was currently better than PB pace! I was mindful to make good use of all the aid stations along the way, the first of which was manned by Rich Cranswick whom I’d met at the SVP last year. At Dunmow the route deviates very briefly through part of the town then linking back up with the Flitch Way route. The ground in parts along here was very soft and quite wet but I managed fine with my road shoes and stayed up right! I always use Nike+ app on my phone when running as it gives an audible pace every 0.5 mile which I like and lets me know if I’m working too hard or even not hard enough. The pacing was still very steady at 8m 30s a mile. Heading ever closer to the turn around point I was hoping I wouldn’t hit any type of problems until well after the 20 mile mark. wanting to get a good amount of drink onboard at the half way point I told Jaime I was going to push ahead to give myself a couple of minutes to stop. The legs were still felling strong despite not having a long run further than 13.5 miles since Paris Marathon. After the half way point there started to be more a bit more of a difference in pacing, sometimes catching people, sometimes being over taken. As I headed back towards the town of Dunmow I had to take a left hand turn through a hedge and into the industrial estate. I missed the turning and went straight on. A runner behind me followed, we both hadn’t gone far and I started to question it, it didn’t look right. I stopped, he carried on. I back tracked and bumped into another runner also heading along the same path. I told him I thought it was wrong and after going back a few hundred yards saw the gap we should of turned through. I’ve no idea where the other runner went or if he’s even finished yet! My legs had started to feel things now and were getting tired. The new runner I was now with was David Rogers. He had initially been ahead of me before slowing enough that I could catch and over take him before meeting up again when I made the mistake. Both tiring we decide to stick together and pace each other back to the finish. My pace was now fading away quite badly and the chance of a PB had gone but I was still on for a strong run. The finish of the marathon is at the top of a steep hill which has a large sculpture on it, upon touching the sculpture you have finished the race. Having been running together for 3 or 4 miles I suggested to David that we should race the hill up to the finish together. I’m not sure if he thought it was a good idea but he agreed anyway. We returned back passed the cafe at Rayne station, back on to the track and just had to get back down into the park. we could see the hill ahead with the bird sculpture on top, the bottom of the hill approached, a quick shake of the hands and a wish of good luck and I was gone!! I put my foot down and powered up the hill not looking back to see if David was hot on my heels. A sprint of the last 30 yards and I had finished another race. If counting ultras this was now my 7th race of marathon distance or greater. The organisation and marshalling is second to none at challenge running events and can’t recommend them highly enough. Get over to their website, have a look and sign up to one of their future races. Initially I wasn’t really sure what my time was but found out via Lindley that it was 4h 14m 19s. 12 minutes faster than Paris marathon and only 14 minutes 26 seconds away from my PB so quite a good day. Now to just keep the miles up and stay injury free! By the end of March I’d managed to shake off the injury I had been carrying for almost a year. The running was beginning to improve again, the distances getting longer and the pace slowly improving. One thing I have started doing the last few weeks is actually attending Park Runs. I registered about 2 years ago but had never been until 4 weeks ago! They are clearly a great training aid for a bit of speed because I ran a new PB of 20m 51s a couple of weeks back. Out of nowhere the other week I pulled/tore a muscle along the front of my shin which made walking painful. I have no idea how it happened or why. went to bed fine and woke up in pain. So that put an end to running the Ashdon 10k. It healed up pretty quickly and I was back to the running with no problems a week later running the Birchanger 10k. That was a really tough run! some large hills on a 2 lap course meant my time on the face of it was quite slow at 46m 13s. but a flatter course would easily take 3 or 4 minutes off that time. That means my target of a sub 40 minute 10k is still some way off. A bit of a last minute impulsive entry I have entered the Flitch Way Marathon. As it is local and I’m looking to increase my training mileage I’m just treating it as a training run. I am quite likely to enter the 12hr Enduro at Wimbledon in 4 weeks so this will be the start of the increase in distance that I need. Here’s hoping I can now stay injury free! So I just finished work at 01.15a.m. on Sunday June 15th, my 39th Birthday. The last couple of years of running have seen improvements I wasn’t sure that I was still capable of. The willpower and discipline has been up and down and the results have been an equal rollercoaster. But, from where I started I have come along way. Initially running only a couple of miles at a time, eventually building to 10k. The time for that 10k then slowly dropping from 1 hour 5 minutes to 41 minutes 47 seconds over a 2 year period and the distance building up to marathon distance. Then I started to read and think about ultra running, went to Scotland and ran 35 miles and entered Challenge Running’s Stort 30 ultra. I have recently been back to Scotland and covered the 35 mile run again. So, to what and where is my 40th year going to lead in respect to my running? I generally do lots of treadmill speedwork over winter and try and aim for some spring PB’s. That is what happened this year setting new 10k, half marathon and marathon PB’s. As the year progresses I Like to do a mix of 10k’s and some long distance races and more recently looking at doing ultras. I have a loose plan mapped out for the rest of this year which is mainly concentrating on doing ultras. I have now signed up for the Saffron Trail ultra http://www.challenge-running.co.uk/saffron-trail/ a run from Southend on the Essex coast to Saffron Walden, approximately 70 miles. I have been out training over various sections of the route, the last two legs are my local home area so I run these parts quite regular already. Wanting to do more ultras some carry conditions that you need to have run a specified distance before entering. I need to complete the Saffron Trail before being able to move on to other challenges. 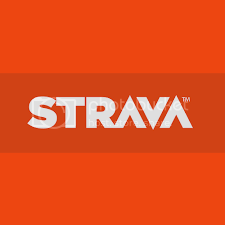 My drawn out plan that fits time off, work and family commitments is July 12th Saffron Trail – 70 miles, 16th August Stour Valley Path – 62 miles (2 UTMB points), September 27th Cotswold Way – 102 miles (4 UTMB points) and the Stort 30 on October 26th. When I gain the Ultra Trail du Mont Blanc points this will qualify me to run the CCC http://www.ultratrailmb.com/page/21/CCC%C2%AE.html next year. To run the UTMB you need to have gained 7 points from no more than 3 races so I won’t be able to qualify this year. So the year ahead is looking exciting and most definitely challenging. I just need to continue with long steady miles, including the odd 10k and club night for a bit of speed. And to try as best as possible to stay injury free. I have no idea how this will pan out as time goes on, I don’t know if I can get through 70 miles let alone 102 miles. What I do know is I will never find out thinking and fearing what may be sitting at home in a chair. I need to get out there and do it. Stamina can be put into two types, cardio vascular and local muscular. Through a regular exercise regime your lungs and heart will strengthen and become more efficient in delivering oxygen to the muscles. A person can expect to gain a lower heart rate and increased stroke volume of the heart. Muscles will improve their ability to store glycogen to help with their endurance. There are three types of strength we use. Explosive strength where the energy is used in a single action like jumping or throwing. Dynamic strength, the ability of your muscles to support you over a long period of time. And static strength, the force that can be applied against a static object as in weightlifting. As runners it is dynamic strength that we are interested in. Bodyweight exercises are great for dynamic strength. Exercises such as squat jumps, bounding, hopping and various medicine ball exercises are all great at improving dynamic strength. Fitting in just one or two sessions a week will still be of a long term benefit. Suppleness refers to how we move and bend at the joints. Also referred to as flexibility, improving our suppleness can help reduce the risk of injury. There are a multitude of stretches possible. I have tried many and found a select few that work well for me hitting points of my muscles that tighten regularly. A favourite is the kneeling hip flexor stretch with raised foot. I find this really loosens my hips, helps with my gait and improves my speed. Sleep is another very important factor in running. All of the bodies major repair is done during sleep. Getting 8 hours of sleep can help improve mood, concentration, improve athletic performance and you are less likely to get ill. I know how hard it is to get a decent amount of sleep as i am regularly home from work at midnight or later and then need to be up at 7am to help the chidren get ready for school and also to give myself time to run before starting work. So I am usually only getting 6 1/2 to 7 hours sleep and over a week i can end up getting quite exhausted. So I try as best as possible on days off to get to bed earlier. Learning and performing techniques will help improve your running. Pacing, you don’t have to take every run at race pace. It’s ok to slow down, long slow runs will improve your running just as much as short fast ones. Sprinting, adding short sharp bursts will activate different muscle fibres and will help in race situations when you need to increase the pace or overtake. Recovery is just as much a skill, cooling down and stretching will help with muscle repair and help make you stronger for your next run. Our state of mind when running or even thinking of going for a run plays a strong role in our participation, improvement and enjoyment of running. There are a lot of people that are very disciplined and rarely have any down periods with their running, I am not one of those! My moods towards running rise and fall constantly, especially this time of year when runs are gloomy, wet and cold. I personally help myself along by reading magazines, books and websites to keep my motivation up. I am also a running club member which is of a great help, we have regular social meet ups for meals that really helps boost mental positivity. Setting and hitting realistic targets is also a great way of staying positive. Diet is very important in not only improving health but also our running ability. Personally the way I tackle my food intake is to work out my calorific needs and then eat as much healthy whole non processed food to meet that need. I include oats, bananas, almond butter, rapeseed oil, nuts, seeds, dates, noodles, brown rice, avocados, beans, peppers and various other fruits and vegetables. Diet can not only help with energy levels but also improve cholesterol levels, lower the risk of heart disease, stroke and diabetes. If you take the time to cover the 8 S’s you’ll be setting yourself a good regime for improving. Spring isn’t far away and the improvements will show when the warmer weather returns. Don’t give up, keep striving and you’ll reach your targets for 2014.